Into tonight expect to see cloudy skies with the occasional drop of rain into the early morning hours tomorrow. Rain chances will remain under 50% through the night and increase into the morning hours. Areas to our west have higher chances of rain throughout the night. Winds will be calm through the night. Temperatures will rise quickly in the morning, jumping back into the 70°s as more moisture moves into our area. The low pressure that is sitting over south Texas will begin to move Northeast towards our area, making our chances of rain increase into the late afternoon/ early evening hours. Some of the rain that comes through our area may have a thunderstorm or two, nothing severe though. 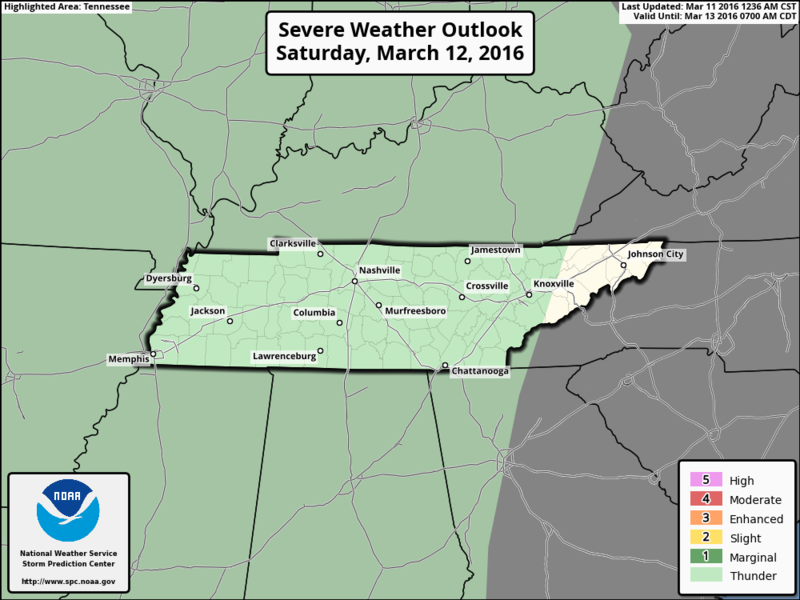 We will be under a “general thunderstorm” convective outlook again tomorrow. Be sure to keep your umbrella handy throughout the day. Don’t let the cloudy skies fool you, there will be occasional showers. Into Saturday night, we will see some stronger periods of rain. These chances will begin in the late afternoon/early evening hours and continue through the night into Sunday morning. With these bands of rain, expect some heavier downpours and possibly a thunderstorm. Flooding is not a concern with any of this rain. 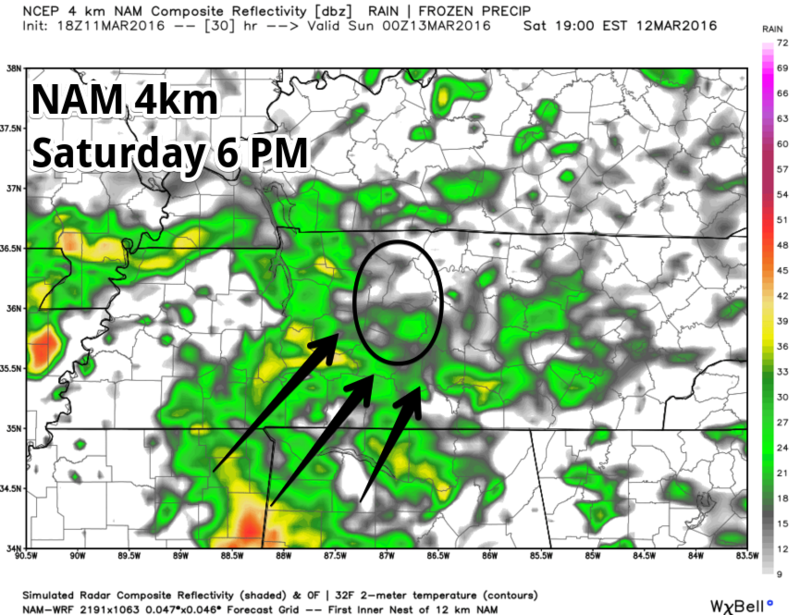 Sunday we will see the rain beginning in the early morning hours and continuing off and on through the early afternoon. We will be under a “general thunderstorm” convective outlook again on Sunday with areas to our West having some marginal risk for stronger storms. 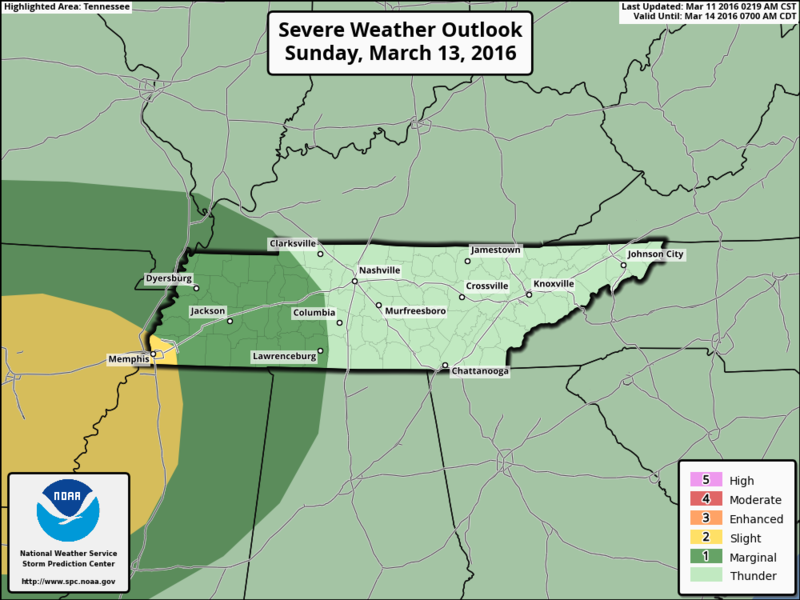 For us, expect some thunderstorms but nothing severe. Winds may gust at times before the rain approaches, but should remain between 10-15 MPH. Monday will be our last rain day through this event. Showers are expected through Sunday night into Monday morning. Showers should be gone by Monday night. 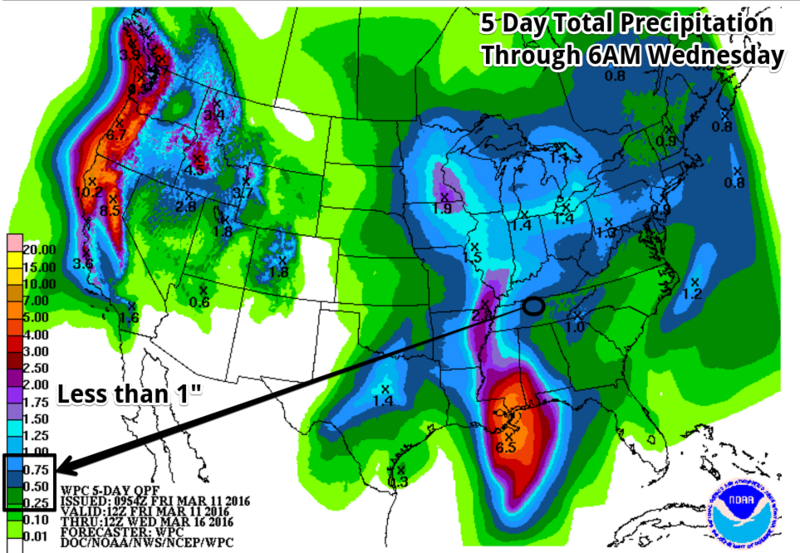 After the event is all said and done, our area will see less than 1″ of rain. The farther West and Southwest you go, the more chance you have of seeing a higher rain total. Skies will begin to clear after the rain on Monday. Sunny skies on Tuesday with temperatures are expected to go up into the high 70°s, possibly even 80°s. Okay, maybe not that hot, but still warmer than we have seen recently. Temperatures will cool off throughout the week and the rain should hold off through next week.